After decades of debate, Alaska is now one step closer to being able to build new roads in the Tongass National Forest. Timber industry groups have said new roads are critical for keeping the industry alive. Some small tour operators, on the other hand, want the Tongass to stay intact. On Thursday, the U.S. Forest Service announced it signed an agreement with the state — officially kicking off that process. They’ll be looking at the roadless rule — the federal regulation most states have to follow that Alaska has been fighting for years — and how it applies to the Tongass. Chris French, who works in forest service’s Washington, D.C. office, says his visit to Alaska gave him some perspective. French says new roads could allow access for cell towers to be built and mineral exploration. Back in January, the state petitioned the forest service to consider an Alaska exemption to the roadless rule. The forest service wants to finalize the details in less than two years — pending several rounds of public comment and an environmental assessment. First, the governor’s office will have to assemble an advisory committee to help oversee that. 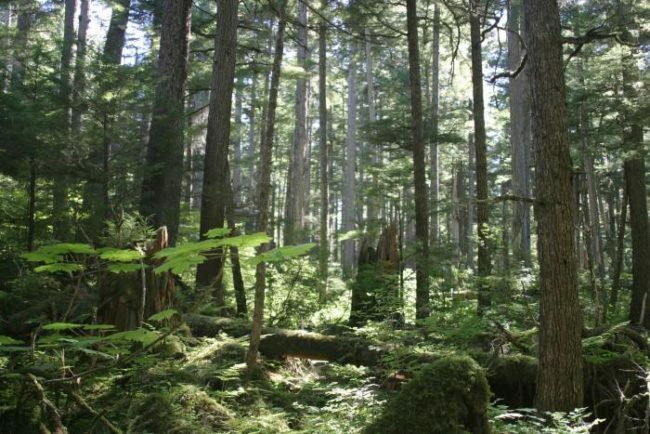 In 2016, the forest service released a plan for the Tongass. It included phasing out old growth logging and was created with years of community input. But French says that could change. This latest announcement comes on the heels of a trip Sen. Lisa Murkowski made to a timber mill last month with a top federal official. Colorado and Idaho have pushed for similar measures to build new roads on their national lands.